This is an excellent site, worth viewing created by Mr Tony Pace, Education Officer for Social Studies. 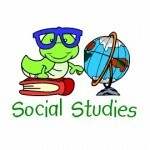 The website is full of material and resources related to social studies for all primary year groups. This site may be useful for students when studying, revising or learning new topics related to this wonderful subject. The site covers topics suitable for all ages in kinder and primary years.